The Definitive Technology SuperCube 6000 Subwoofer proves that powerful bass doesn’t require a big box. The tried-and-true SuperCube formula features an active woofer and two similar-sized passive radiators, all driven by a brawny 1,500-watt amplifier. This sub will fill your room with sound while taking up just over a cubic foot of space. 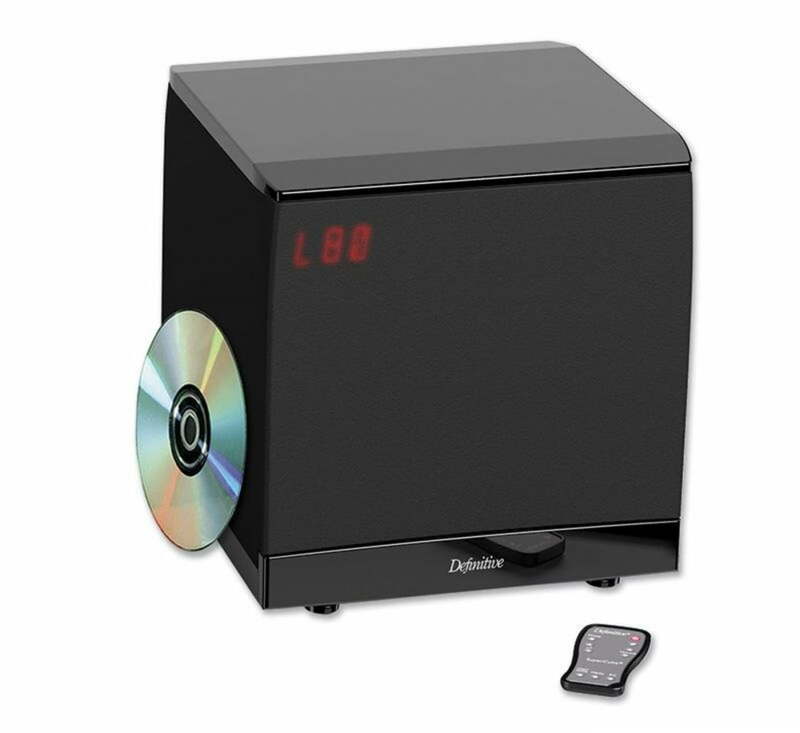 The SuperCube 6000 sub uses a new class of high-efficiency amplifier to bring 1,500 watts to bear. Its clean muscle is preceded by a 56-bit DSP pre-amp stage that kills distortion before it ever reaches the amp, let alone your ears. The SuperCube’s 9″ woofer is pressure-coupled to two 10″ passive radiators. This driver array gives the 6000 the capability for far greater speed, musicality, and control than the typical large single-woofer sub. The ultra-stiff woofer is encased in an incredibly rigid basket engineered to hold the massive magnet structure and large voice coil in absolute alignment. The non-resonant front and back panels are nearly 2″ thick and use multiple internal bracings to make sure that you hear clean bass without sound-muddying cabinet vibrations. Line-level and speaker-level inputs let you connect this sub to just about any audio system. The continuously variable low-pass crossover allows you to precisely control the frequencies that your subwoofer handles. And the disappearing display lets you monitor the 6000’s settings while you adjust them with the included wireless remote.